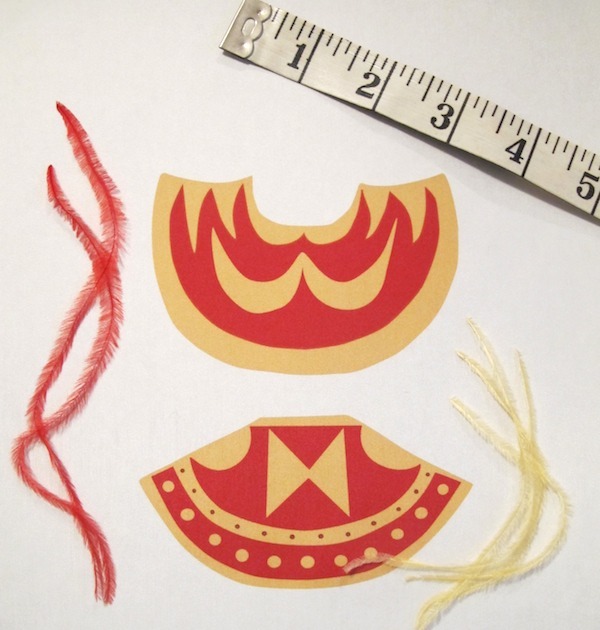 I have started designing artifacts for the miniature Hawaiian museum. The first things are feather capes which are smaller than the cloak that I showed previously. I drew the capes in Adobe Illustrator using photographs of one real cape and a real cloak which I made smaller. 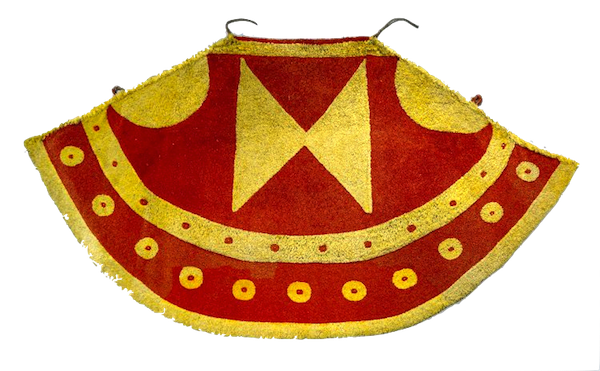 The cloak is from the British Museum collection. 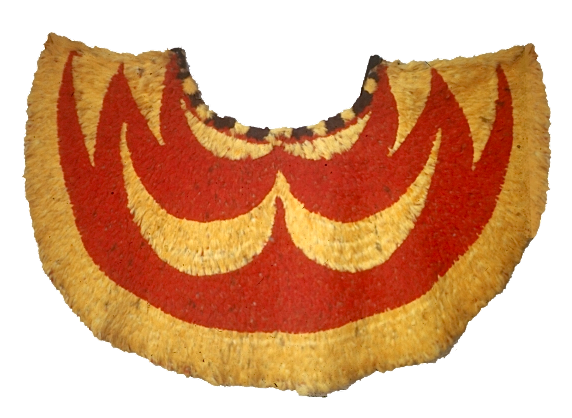 The cape is from the Bishop Museum collection and its information can be found here. I printed the images on silk (it took 3 tries to get the saturation of the ink correct). I matched the colors to the images and to the mini feathers that I purchased. These are the final prints. The silk has a paper backing to get it through the printer. I will remove the backing before I glue the feathers on.